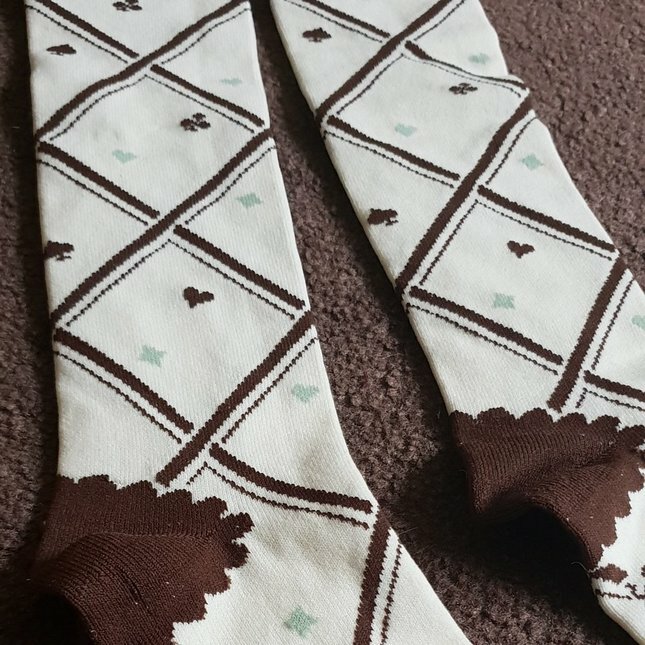 Innocent World socks with playing cards pattern, sorry I don't know the exact name of this item. 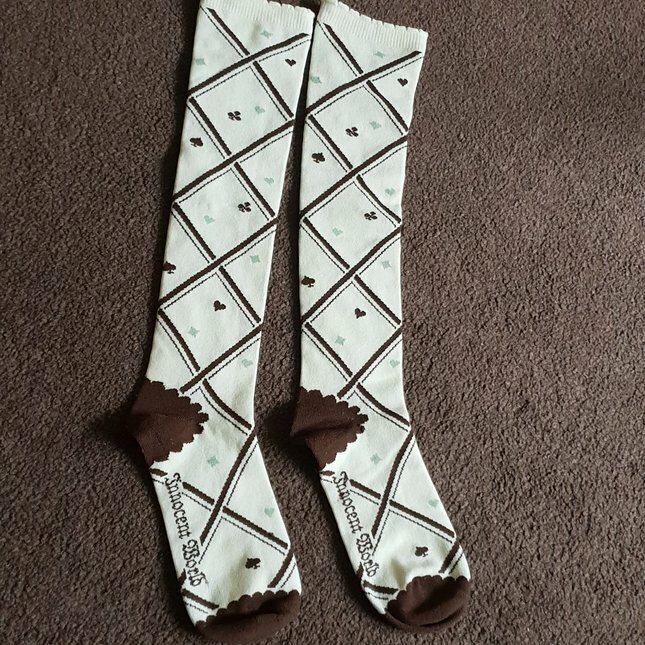 White with chocolate brown and mint green. 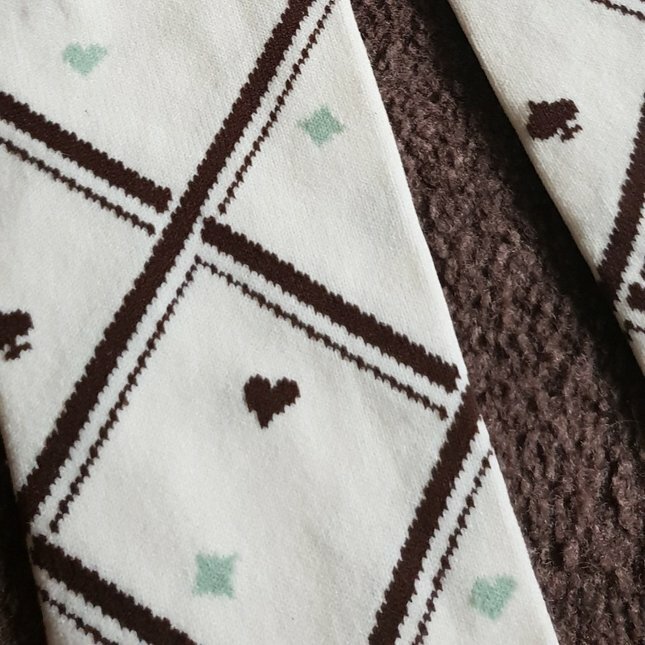 Excellent condition, not worn by me. I think they are brand new without tags.